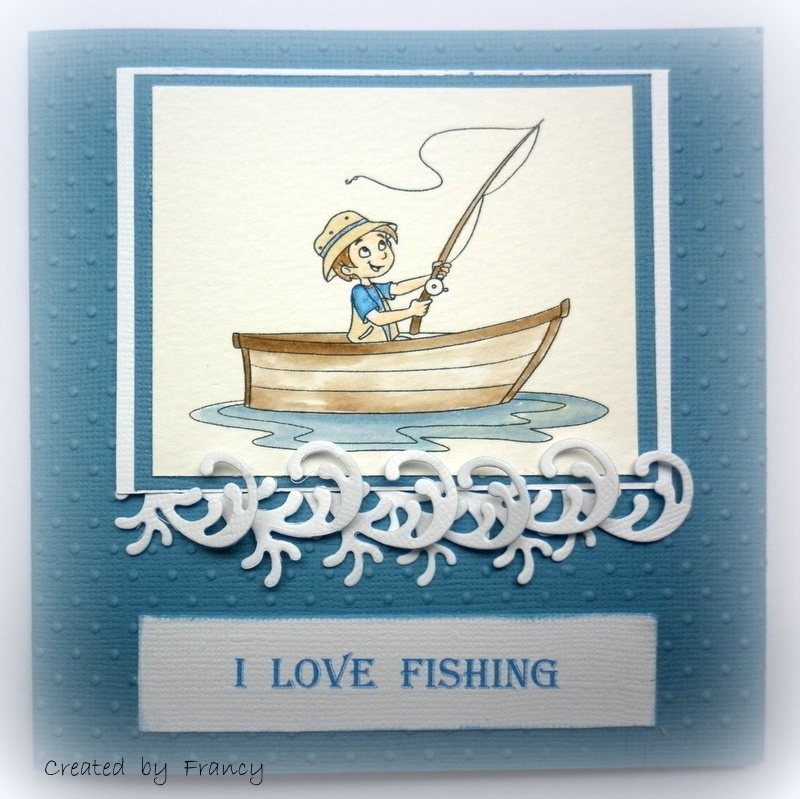 Hello everyone, I create a card for my son that he love fishing. In this days the weather isn't well but I hope that next Sunday the weather is better so we can go fishing. 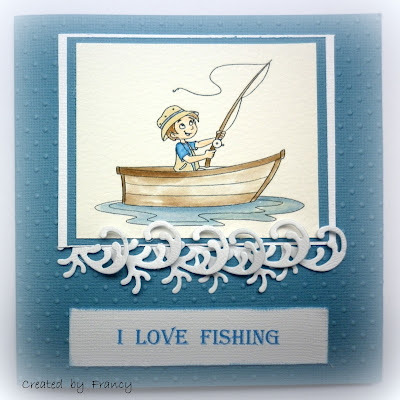 For this card I used a gorgeous BBS digital stamp Boyz will be Boys "Cody Fishing". you can find this stamp on the Bizzy Becs On line Store. Don't you forget to partecipe on our currently mounth challenge: "Vintage". We wish you a good day and happy craftin.